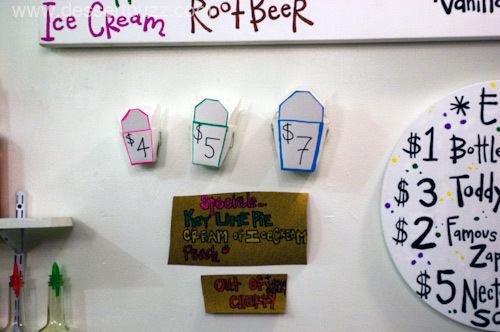 A very cool pop-up dessert shop has appeared in the former space of Birdbath on 7th Avenue at Charles Street. Imperial Woodpecker Sno-Balls. 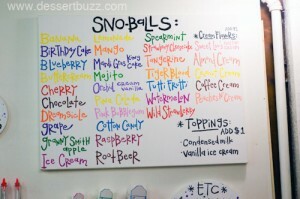 In case you aren’t aware, snowballs are in the same family as shave ice but aren’t exactly the same thing. The owner, Neesa Peterson, explained that snowballs are more airy and less dense and granular than traditional snow cones. In addition to the 33+ different flavor options you can (and should) also order yours with either condensed milk drizzled on top or vanilla ice cream (for only $1.00 more). 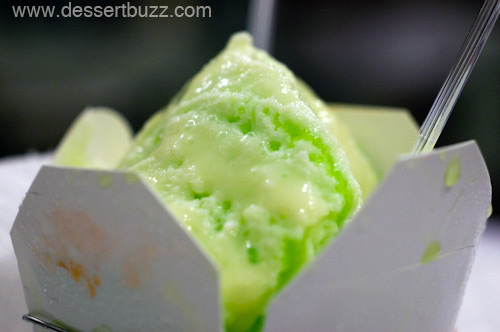 Neesa recommended the Key Lime and condensed milk and I have to say it was an absolutely perfect dessert for a warm summer evening in the village–very cool and refreshing. I didn’t even find it too sweet. 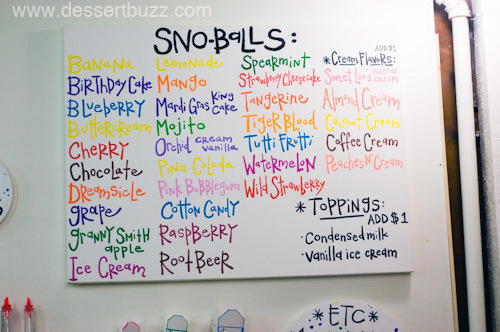 Truthfully, I would have ordered a second serving of another flavor on the spot but they were trying to close up shop and a large group managed to bum-rush their way in and order at least 4 more sno-balls. 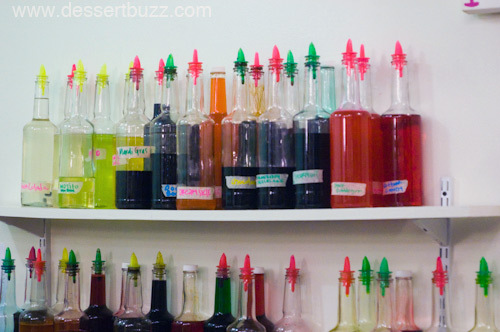 Syrups - the usual, cherry, chocolate and Tiger's Blood. 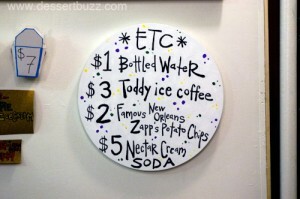 The next time the thermometer hits 85 and I’m in the village–I am hitting this place again–who I am kidding? The next time I’m in the village, East or West, I’ll probably go back. Imperial Woodpecker is only there for 3 months. 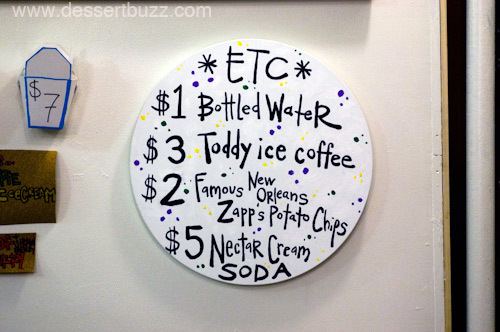 Some of the flavors include: Dreamsicle, Mardi gras king cake, tiger’s blood (I didn’t ask) and cotton candy. See the full list of flavors in the pics. Imperial Woodpecker Sno-balls, 145 Seventh Ave. S., at Charles St.; 251-366-7777 They don’t appear to have a website yet. It's not the size of the sno-ball that matters.